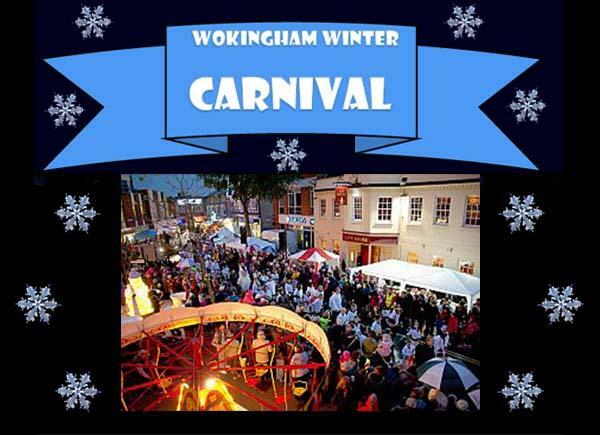 The Carnival is a FREE community event held in the town centre with entertainment for all the family. Attractions for the day include fun fair rides, over 100 food, craft and charity stalls, non-stop FREE entertainment including a magic show, Punch & Judy, comedy jugglers, clowns and other special entertainers. Santa's Grotto is again expected to be in the warmth of the Library from 11am - 3pm. Our younger visitors are very welcome to come and share their Christmas Present lists with him. Berkshire Maestros will be providing live music throughout the day on the Market Place stage, and the highlight of the day is the Carnival Procession which starts at 4pm and winds its way through the town as dusk falls. And Rotary presence is assured through its members of Easthampstead, Crowthorne & Sandhurst, and Wokingham clubs having fun and working together to help those in need - young and old - locally, nationally and internationally.